Design your Just-in-Time process, with your own forms and work items. Found a standard or process framework (e.g. TOGAF® ADM, Project Management Framework like PRINCE2, PMBOK® and etc.) not fit your use case well? Sometimes you may want to add some additional activities (i.e. meetings), process deliverable (domain specific logs), or even analysis process (use case modelling) within a process and they can often be reusable and crucial to you. Visual Paradigm's Work Item Composer is there to help. 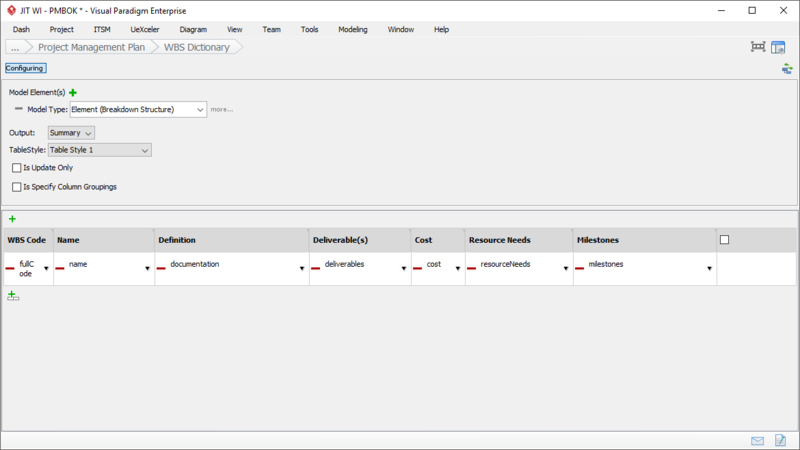 It lets you build reusable building blocks for embedding into standard or even custom process of your own, such as, capability assessment, budget planning, KPI, and etc. It comes with nice and intuitive interface. Guide team members in completing a work item through defining steps. Enables team members to understand the actions they need to take by writing instructions. Add step-wise sample to let team members know the expected outcome of a step. Add tables, instructions, diagrams, etc into your form. Many different options are provided to maximize usability. Use model baggage for transforming model properties from one view to another. A work item will be resided on the gallery for reusing in JIT processes as a building block. Keep deliverables in a central cabinet built by you. Deliverables can be linked with drawer in cabinet to facilitate automatic archiving. Just-in-Time process can be replicated simply through the export and import support.